"Perfect position, staff and the pool is amazing"
Have a question for Hi Chiangrai Hotel? "The helpful staff allowed late check-out." 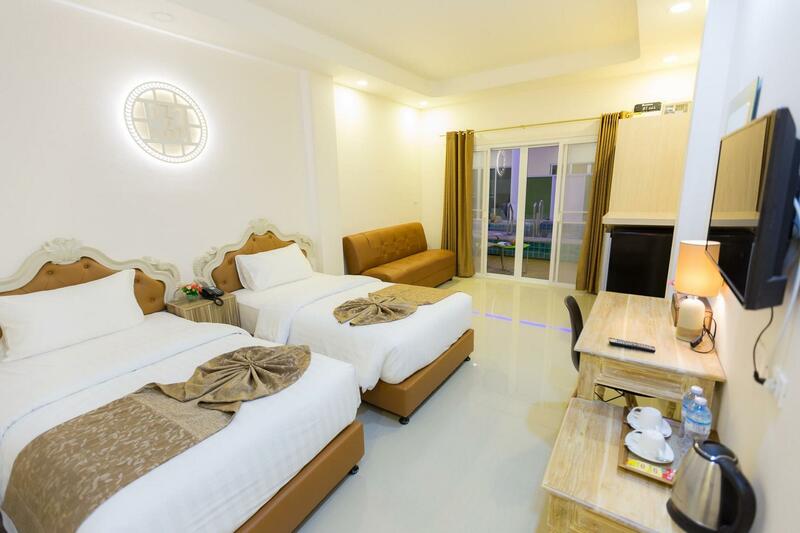 "Brand new perfect located small hotel, close to the Night market and center of Chiangrai, clean with friendly stuff." 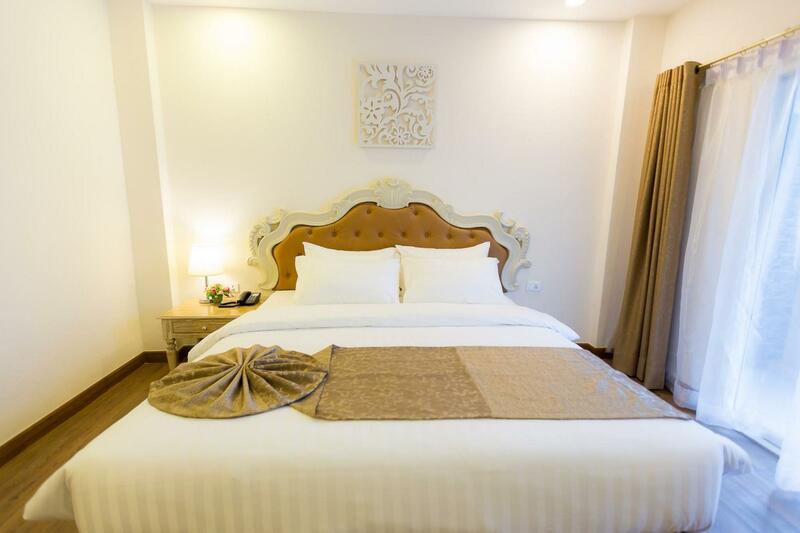 "We were grestly appreciated by the Hotel Manager's rescue an..."
Well-positioned in City Center, Hi Chiangrai Hotel is the ideal point of departure for your excursions in Chiang Rai. The city center is merely 0.5 Km away and the airport can be reached within 30 minutes. With its convenient location, the hotel offers easy access to the city's must-see destinations. 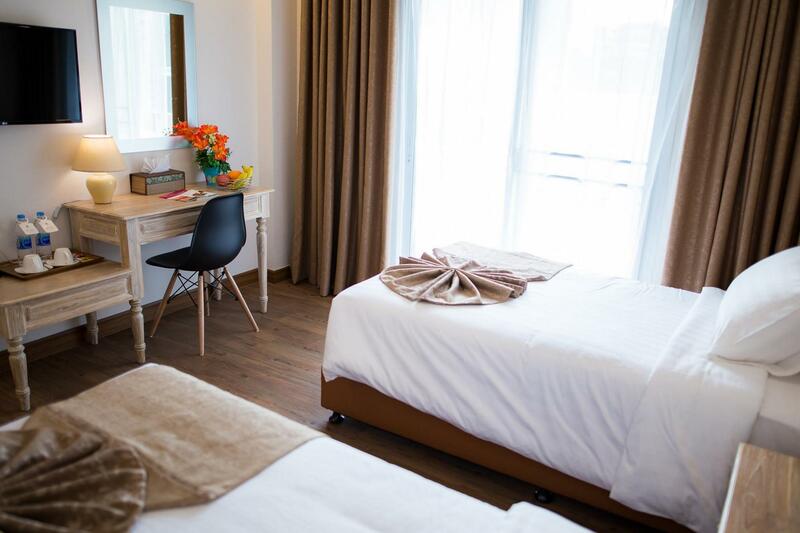 Take advantage of a wealth of unrivaled services and amenities at this Chiang Rai hotel. While lodging at this wonderful property, guests can enjoy free Wi-Fi in all rooms, 24-hour security, daily housekeeping, fireplace, taxi service. Guests can choose from 50 rooms, all of which exude an atmosphere of total peace and harmony. 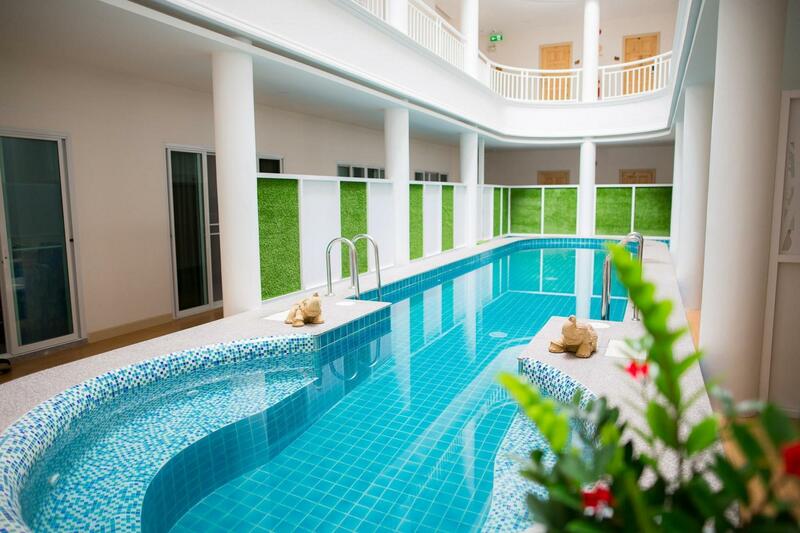 The hotel offers fantastic facilities, including indoor pool, to help you unwind after an action-packed day in the city. Hi Chiangrai Hotel is an ideal place of stay for travelers seeking charm, comfort and convenience in Chiang Rai. The property requires a key deposit of THB 500 per room. Great location, clean and reasonably large room. As far as facilities go, there is not much, though there is a swimming pool, we never use it because of its "strange" construction, i.e. in the centre of the hotel. All in all, it is a value for money option. A very clean, modern hotel centrally located in easy walking distance from the bus station. My room was not spacious but was a satisfactory size and I appreciated the small balcony. The staff were very friendly and polite though not confident using English. rooms are clean, aircon a bit noisy, the room was not noise proof, swimming pool beside the check-in desk was a bit strange, the staff could be more friendly if I understood correctly: they would charge Bt 500.- of the key card is lost!!!!! (???????? I am not sure if I understood correctly) a lot of Chinese guests, breakfast was okay/good, all in all: it is not my feel good hotel. Hotel was just 3-5mins walk to night market, the room was super clean and comfortable. All the staffs of reception are friendly and helpful! Location is good, talk 15 mins car to airport. Few streets away from the night bazaar. Can find the duk duk at the main street, also many 1 day tour company. Twin bed is big enough for 2 adults, bathroom is spacious. Really feel comfortable to stay inside. Didn't try the breakfast as it is a bit costly. Staff can communicate in English, so basically can help. We have a pleasant stay at this hotel. Good locations with many attractive area near by. The only comments is poor vendilation, cooking smell goes into rooms during bkfst hour. Because the kitchen is build at interior and open concept. Overall is ok will come back again. The room and the hotel are fine, but as there is no insulation from noise you can hear everything and every one from inside your room. Ear plugs are a must! Having free bicycles is a great idea, as CR is still ok for cycling. Nice rooms in a good size, friendly staff, perfect location, super water pressure under the shower (unusual for Thailand), cozy mattress, clean. But! Which stupid architect designed this Hotel??? The indoor pool and the restaurant are in the ground floor, it´s an open space above the pool till the 4th floor. So you hear in the 4th floor everything, especially loud talking people or crying kids in the morning at the breakfast from 7 am or in the night when they arrive from the Night Basar. The rooms direction to the parking place are extra loud, because you hear the loud talking groups waiting for their transport at the parking place plus the Mini Vans additional from the noise in the ground floor. 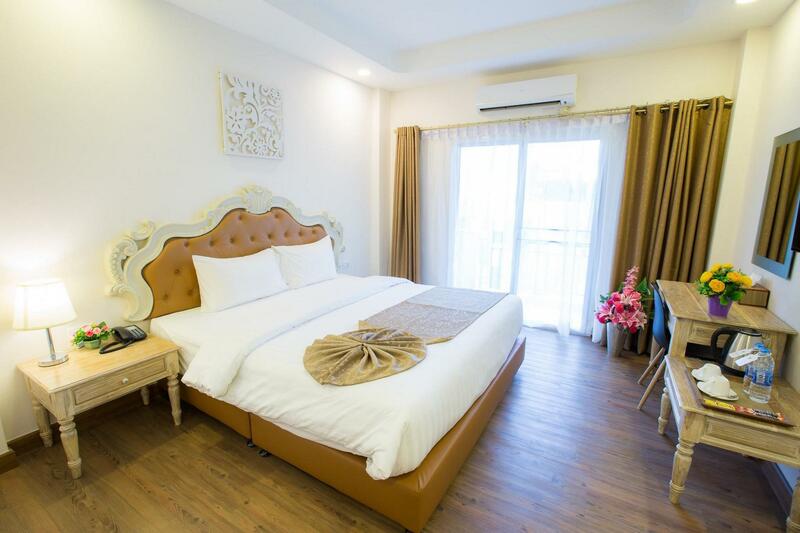 Small, boutique hotel in center of Chiangrai within very easy walking distance of the night market and most of the tourist sites in the main part of the city. Smallish, but very comfortable room with everything that an economical traveler would need. The breakfast included in the room price offered a small, but very acceptable range of several different items for Chinese, western, and Thai food, with a couple of egg dishes available cooked to order. Staff was friendly and helpful. The only real downside seemed to be limited parking spaces. However, we were not driving, so it wasn't a factor for us. Definitely recommend the Hi Chiangrai for the budget traveler looking for better than backpacker lodgings as a reasonable price. Hotel location is perfect, very close to everything but far enough to keep it quiet. You can find many restaurants, massage shops and tour shops nearby. Rooms were clean and spacious, staff were OK. Overall very good stay, will surely recommend this hotel. It is obviously a budget hotel, but very well furnished rooms. The wifi is super for business. It is a little a few hundred meters further from town centre, so easy to walk to everything. Buffet breakfast is over priced for what you get. The pool is odd and causes noise to echo throughout the building. There is also very limited parking. Overal I would recommend. This hotel is recently built. The room was comfortable. The location is very good near the city center. The breakfast is only average. Good value for price. Accommodation is very comfortable for its cost, perhaps a reflection of the market of Chiang Rai. Clean, modern, comfortable bed, good location with plenty of restaurants nearby and close to the night bazaar. Did not try the pool and there is no gym in the hotel. Checked into this hotel after not being able to sleep well at a friend’s house close to a motorway and apparent rooster farm, and I caught up on all my sleep here. Pros - Big room / pretty clean the room I would say / near to night markets by foot Cons - wanted to swim one day but I saw lots of insects and particles floating on the water.. I turned back and feedback to the recep. They said they clean every morning. But next day I saw it's still the same. Not to mention it's indoor pool so where did these floating stuff come from everyday if they had cleaned?? Liars... I wouldn't stay there again for this price without usable facilities. I booked 2 bedroom suite for my parents and myself, but we were arranged maybe the most noisy room. The room is near to the road and facing it, so it was noisy until the midnight. The worse part is the room is just next to the only elevator in the hotel, so... yeah... Fortunately, the staff changed our room to another floor in the second night. It wasn't really pleasant stay overall, though. We have arranged with a staff for a late check out on our last day of stay. However, out of good intend, when we reminded the staff on duty on our last day of stay before going for our outing, the staff on duty insisted that we need to check out timely as they were fully booked on that day. Despite our protest and reasoning, the staff stand firm that we need to check out timely. Thanks to the Hotel Manager who finally turn up at the front desk and agreed to keep their promise to let us have a late check out as per arranged earlier. We were grestly appreciated by the Hotel Manager's rescue and make our day a wonderful one.